Today represents the longest — and biggest — day of the season for the Pittsburgh Pirates to this point. 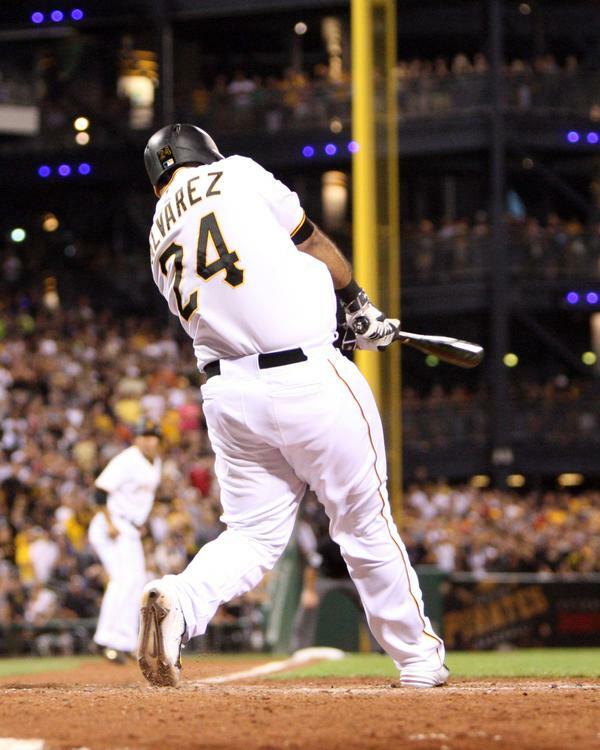 The Pirates host the Chicago Cubs in a day-night doubleheader at PNC Park that opens a four-game series. It will be just the second split-admission twinbill at the facility it opened in 2001. The Pirates have a chance to take a big step toward at least clinching home-field advantage in the National League wild card. The Pirates are four games ahead of the Cubs for the first wild card while both trail the St. Louis Cardinals in the NL Central standings with Pittsburgh 2 ½ games behind and Chicago 6 ½ back. However, the Pirates insist they are not overly excited about the series with the Cubs. In fact, they seemed downright blasé about it Sunday after rallying from five runs down to beat the Milwaukee Brewers 7-6 in 11 innings at PNC Park. Pirates utility player Josh Harrison, who singled in the winning run Sunday, also took a laidback approach to the Cubs’ series. Taking it one day at a time is one of the biggest — and oldest — clichés in sports. However, it is an attitude Hurdle has instilled in the Pirates since he began his five-year run as manager back in 2011. “We’re just going to keep playing,” Hurdle said. “We’ve been excited since opening day. We’ve taken the mindset for years about not having a September gear, not having an August gear, about playing October baseball from opening day on. That’s the mood we’ve tried to create here. Pirates ace Gerrit Cole (16-8, 2.54) will pitch for the Pirates in the first game of the doubleheader against Jason Hammel (8-6, 3.59) while it be J.A. Happ (5-1, 1.79) against the Cubs’ Jon Lester (9-10, 3.50) in a matchup of left-handers in the nightcap. Cole is 6-1 against the Cubs in seven career starts. The Pirates will start A.J. Burnett (8-5, 3.14) on Wednesday night against Jake Arrieta (19-6, 1.99) and Charlie Morton (9-7, 4.02) will square off against Kyle Hendricks (7-6, 4.08) in the series finale on Thursday afternoon. The Cubs have won seven of 12 in the season series after the Pirates went a combined 26-12 against them the previous two years. This year, Cubs first baseman Anthony Rizzo is hitting .444 (20-for-45) against the Pirates with four doubles and two home runs while rookie third baseman Kris Bryant is 16-for-42 (.381) with three doubles, one homer and 13 RBIs. Pirates left fielder Starling Marte is 15-for-40 (.375) with three doubles and three homers.